Urban living in downtown Fayetteville has never been better! The Prince Charles Hotel was once the crown jewel of Fayetteville. Many distinguished guests have walked the halls of this historic building, including Babe Ruth! 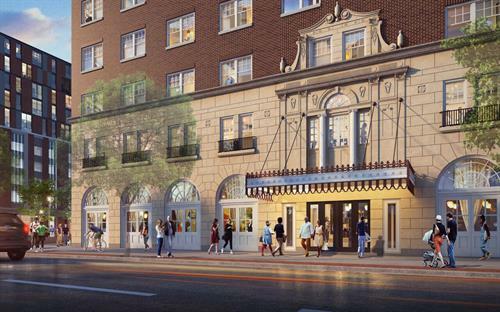 Fast forward nearly 95 years to Spring 2019 and the Prince Charles will open once again in a new era, where the past seamlessly blends with the present, as The Gathering at the Prince Charles. A modern urban lifestyle experience, The Gathering at the Prince Charles is the premier destination in Fayetteville to live, work, play, eat and shop. The Residences feature 59 beautifully designed and carefully restored luxury apartments. The Restaurants will delight even the most discerning food critic. The Shoppes are the perfect place to grab a coffee or browse boutique selections. 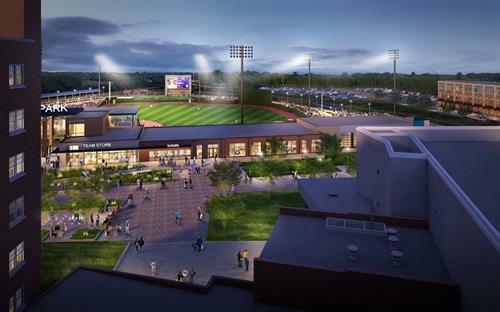 The location is second-to-none as the brand-new Fayetteville baseball stadium and entertainment complex is in the backyard. The Residences at the Prince Charles provide modern conveniences with a unique connection to the past. 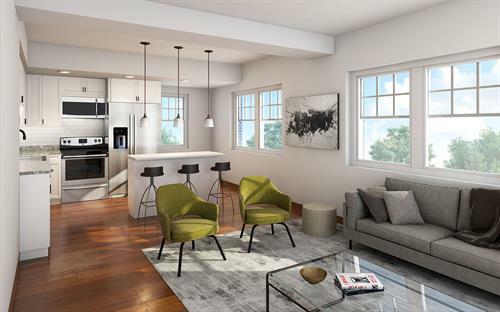 The upscale apartments feature a variety of design elements including large historically-restored windows – some with expansive city and ballpark views. 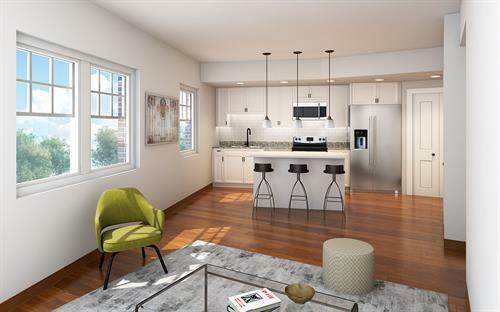 The Residences also offer a full spectrum of contemporary conveniences and technological advances including a state-of-the-art fitness center, Valet Living Doorstep Collection, CenturyLink high-speed internet, Hub by Amazon package service and even a dog park. Each apartment also has parking in the adjacent parking garage. All this and more awaits you at The Residences at the Prince Charles.